The most important thing for any business website owner is to ensure that people are actually visiting their website – and ideally visiting on repeated occasions and becoming customers. It’s no secret the best way to generate loads of website traffic is appearing on the first page of Google. 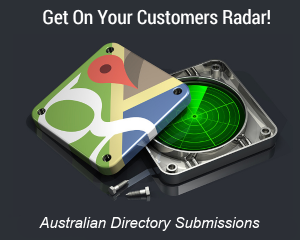 But this is no easy task, because it all hinges on where Google chooses to place your website in its search results. Often after launching a slick new website, business owners are perplexed as to why their competitors are on the first page but not them. Of course, everyone with a website thinks they deserve to be on the first page of Google. But there isn’t room for everyone. Often the first thought is that something must be broken, and naturally the website developer is asked to ‘fix my SEO’. This is a common reaction until you understand how Google works. Google is a search engine. It’s goal is to understand the intent of the searcher, and show websites that (according to an algorithm) would best satisfy that intent. While you might feel as though you are doing all that you can to grab that #1 position, you should be in no doubt that your competitors for the same keyword are actively working towards the same goal. 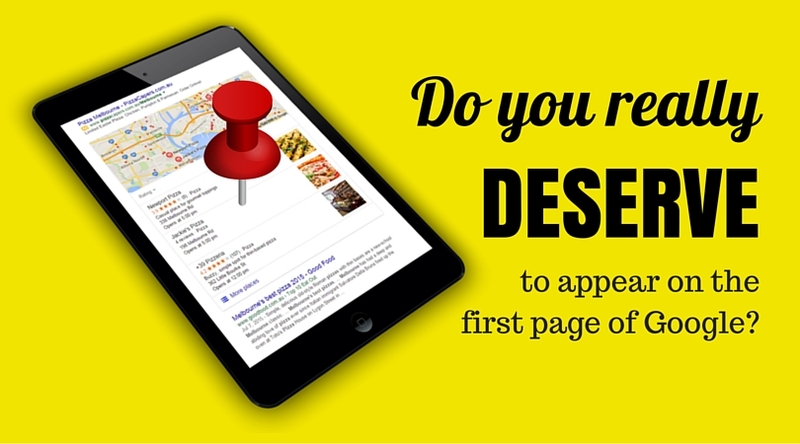 So the question is, do you really deserve to appear on the first page of Google? Here’s what you need to know. Your website developer can’t ‘fix your SEO’. Technical search engine optimisation of your website is a key factor, and your website designer may be able to implement some on-site SEO strategies. Things like page speed and optimised meta tags are known ranking factors. But this is just one aspect of SEO in 2016. Remember the goal of Google’s algorithm. Your website needs to satisfy the intent of the users search. If your website visitors quickly bounce back to the search results only to visit a competitor, this is a signal to Google that they didn’t find what they wanted. A well designed website will provide a great user experience, but without great content it’s just a shell. Does your website answer visitors questions? The phrase “Content is King” is now commonplace in the SEO world, and it’s with good reason. When Google crawls and indexes your website, it’s analysing the content to determine it’s focus and quality. In order to create the most valuable content possible, think carefully about who your audience is, the questions they really want answered, and how to answer those questions in a way that is most engaging to them. Great content is not enough on it’s own, despite what some marketers will tell you. Why? The internet consists of trillions of webpages. Without website links it would be impossible to navigate, and those links are a huge part of how Google understands which pages are more important than others. Who links to your website? The links to your website are like votes to Google’s algorithm, but quality links are more important than quantity (low quality links can actually get you penalised!). If quality websites related to your industry are linking to you, their links can pass authority, raising your standing with Google. In much the same way you need your social media followers to engage with your brand online. Social media signals are increasingly becoming important to search rankings. After all, how good can a website be if no one is sharing it’s content? What are your competitors doing? Whether you appear on the first page of Google is all relative to your competition. To outrank them you need to analyse their website optimisation, content, links, social profile and do better. 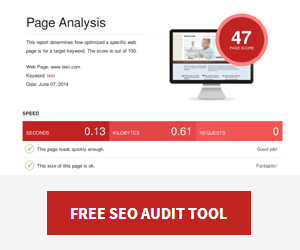 (Tip: start with a quick comparison using our free SEO audit tool). Only then will you deserve to appear on the first page of Google!